Panhala lies on the Sahyadri mountain range and is situated in the Kolhapur district of Maharashtra. It is about 22 km to the northwest of Kolhapur on the Kolhapur-Ratnagiri road and is at an altitude of 3177 feet above sea level. In monsoons, Panhala offers lush green panoramic and gorgeous view of the valley. 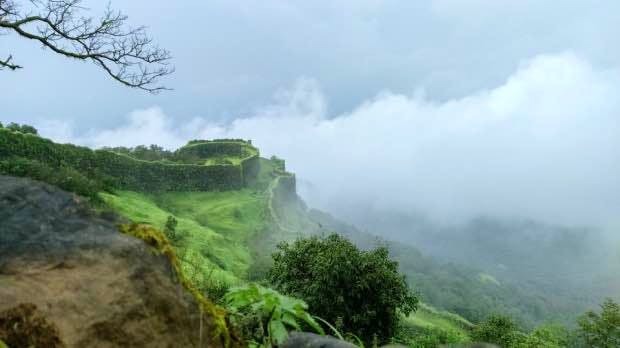 If you want to spend your weekend admiring the ancient ruins of Maharashtra and scenic views of the valley combing, this is where you should be headed. When in Panhala, make sure you check out these places - Sajja Kothi, Panhala Fort, Sunset point, and Parashar Caves. It’s a small village so don’t expect a luxury stay in Panhala. Family, Big Group, Kids, and Bae.